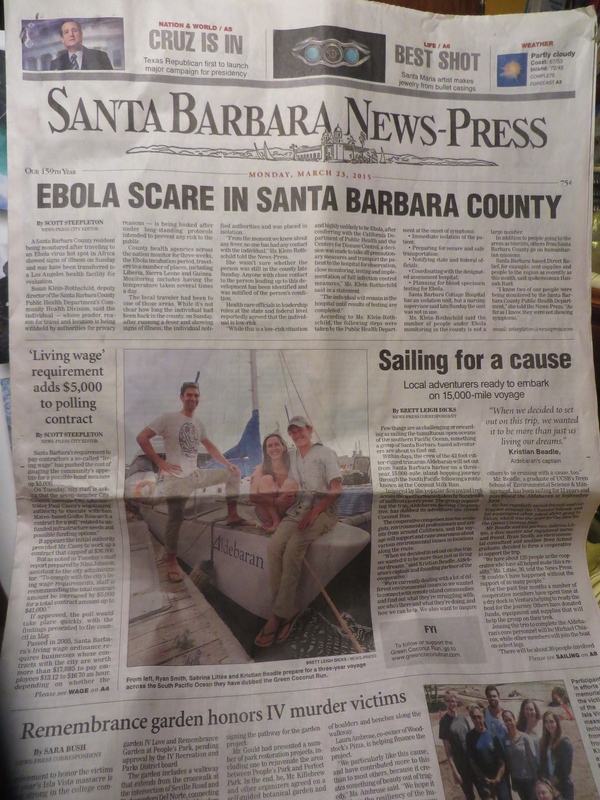 Front Page of the Santa Barbara Newspress! 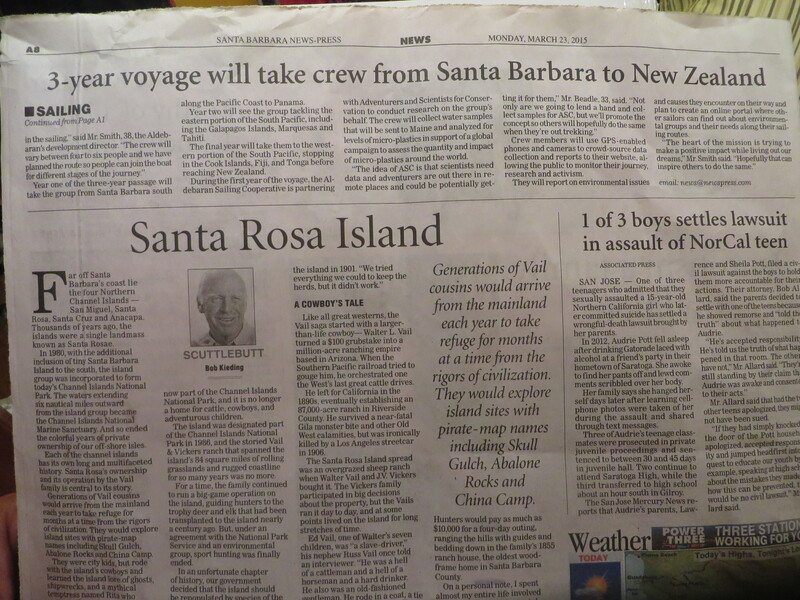 Our friend Ben was telling someone about the voyage while at the grocery store, looked down and there we were — on the front page of the newspaper! As we were working on the hatches on Monday morning, several people came by on kayaks and SUPs and wished us a good trip. Interesting articles around the other parts of the newspaper… Ebola scare… murder victims… hopefully we are adding some lightness to the news this week. Another interesting article was the commentary about Santa Rosa article on the back page, which talks about the Vail & Vickers family running the Santa Rosa Island ranch, back in the day. 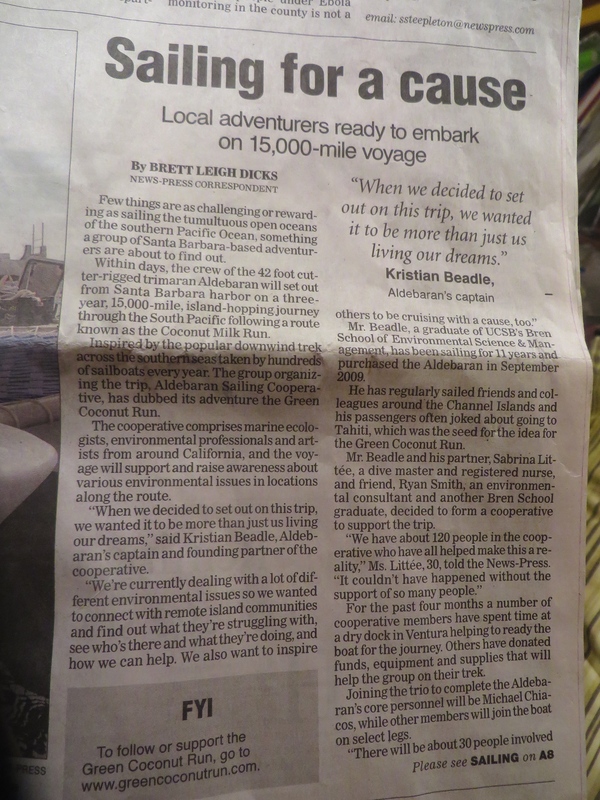 Thanks Santa Barbara Newspress for the feature! ← Shakedown cruise on the Spring Equinox! Marky Mark SAYS….”nice”. I wish you all a safe and rewarding trip. The Boatyard will NEVER be the same without you !